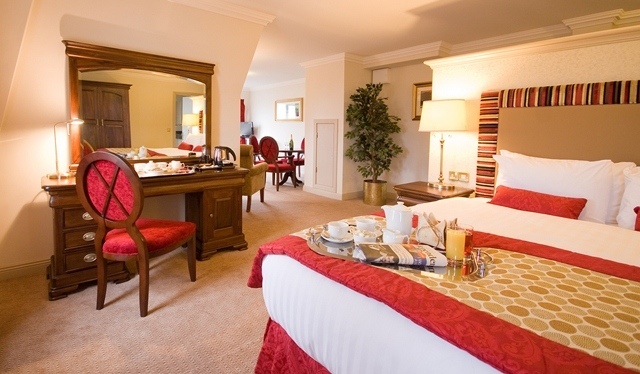 As one of the most established hotels in North County Dublin, the Bracken Court Hotel is proud to offer comfortable and spacious guestrooms to all guests. To make that special occasion our Luxury Suites are the perfect accommodation choice. Our Suites are decorated in warm and inviting colours with comfortable Respa Beds and crisp white linen. Each of our Luxury Suites offers a large King Sized Bed, private seating area and spacious bathrooms. Each Suite is individual in its layout and style so be sure to check with our Reception Team on info@brackecourt.ie for the one that would best suit your requirements.